An essential oil diffuser is an amazing addition to any space. They are great for cleansing the air in your bedroom, bathroom or kitchen, humidifying the air in your space and bringing elegant aromas to your nose wherever it goes. Diffusers are also great for use in commercial spaces like spas or massage therapy clinics. 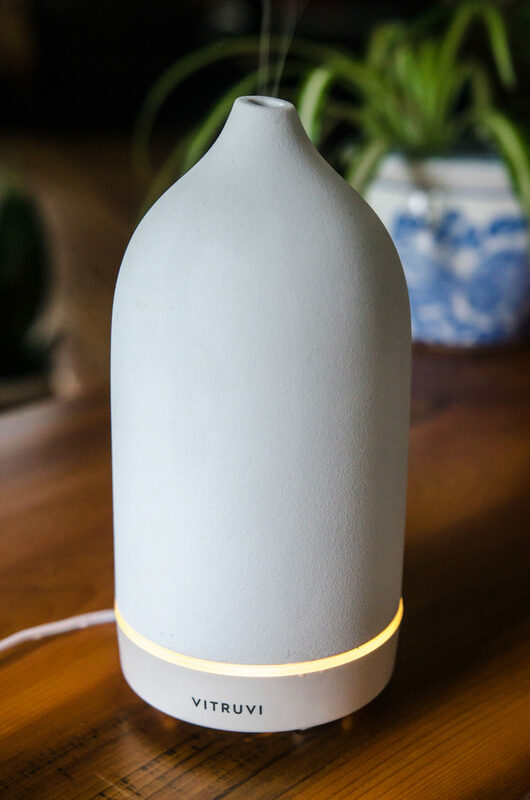 Wherever you are looking to add some fresh scents and clean air, there will be a diffuser designed for you. There are tons of options out there to choose from so it can be difficult to make a decision. Our buyer's guide should outline everything you need to look for, which also includes reviews of the top diffusers on the market for you to choose from. 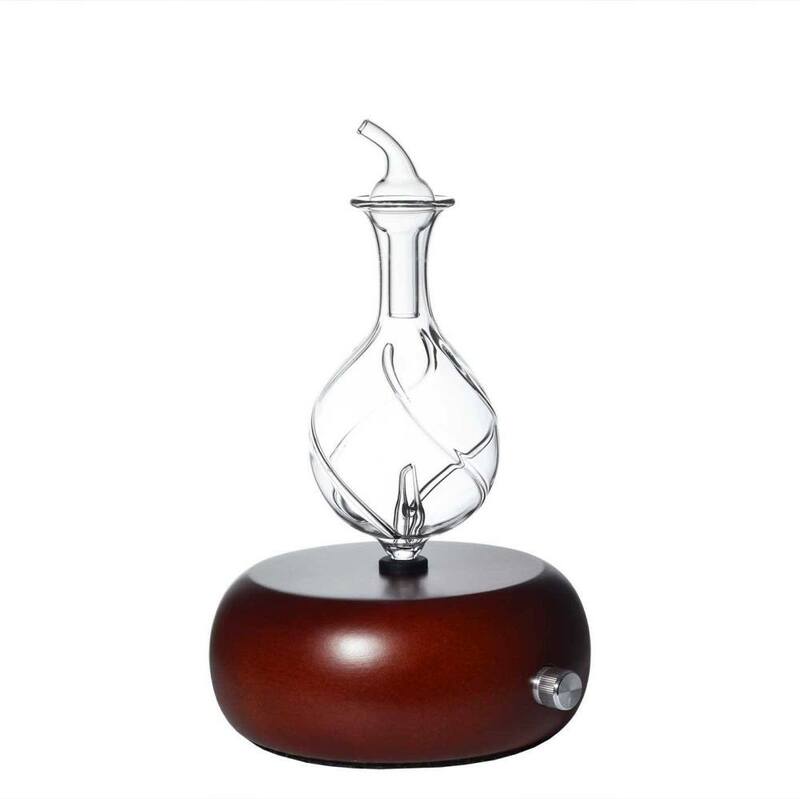 With a beautiful handmade ceramic cover and 100 ML capacity, this ultrasonic diffuser has both looks and functionality. It will cover up to 540 square feet with a pleasant, ambient aroma that just about anyone would find appealing! 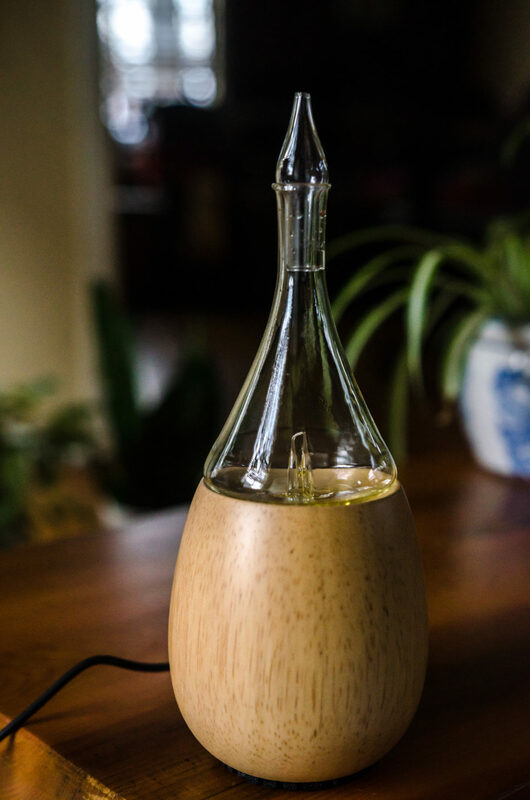 With a beautiful wood base and 110 ML capacity, this ultrasonic diffuser has both looks and functionality. It will cover up to 250 square feet with a pleasant, ambient aroma that just about anyone would find appealing! With so many different options on the market, it can be hard to know where to start! But after several weeks of research, we've got a pretty clear idea of what makes a great diffuser. To start, we read individual user reviews and complains on the larger online stores. We also referred to online communities, and got feedback directly from individual users. We cross-referenced this feedback with manufacturers claims, and familiarized ourselves with studies performed by the scientific community. With all of that, we were able to identify several key features we'd be grading all of these products against. They say that you can't judge a book by it's cover, but this isn't always true. While visual appeal isn't the most important feature to have, diffusion is about stimulating the senses and creating at atmosphere that can nurture the mind and body. We found that when a diffuser was particularly attractive, consumers were more forgiving about it's shortcomings. And when something was lacking in the looks department, users found that using it was much less satisfying. Clean, modern designs tend to be the most popular choices. Many models also provide some form of lighting, although it's entirely subjective as to what is pleasing and what is obtrusive. In addition to the actual appearance, certain design features such as rubber feet that prevent slipping and spilling to be crucial when deciding which diffuser is superior. Diffusing a particularly potent oil overnight can do more harm than good, with some users reporting headaches or other minor forms of discomfort. In most situations, manufacturers recommend that you only diffuse oil for up to an hour before taking a break. But with other oils, you'll want to diffuse them throughout the day to get the desired effects. Not only does timing depend on the oil you're using, but it also depends on your needs. Some people use oils for focus, and may diffuse all day while they study. Others just want 30 minutes or so while they fall asleep. With this in mind, we're looking for two things. We want to recommend diffusers that, if desired, can be run for long periods of time. But they should also have a built in timer, to have them automatically diffuse on the schedule that you feel is best. Automatic shutoff's for low oil level or high output are a bonus. Having to constantly refill your diffuser can be a real pain. Ideally, we'd like to recommend products that have a large enough capacity that they don't need to be refilled any more than once in a 24 hour period. On the flip side, they should be precise enough that consumers can opt to use only a small amount of oil for a short period of time, when desired. Of course, there are always compromises to be made. If you're the type of person who likes to put a few drops of one of your favorite oils and then change it up in a half hour, you're probably not going to want to go for a diffuser that takes several hundred millilitres. That being said, it's not too hard to strike a balance between the two. A good diffuser does more than just vaporize your oil. It should spread the aroma around the entire room, distributing it as evenly as possible. A diffuser with a very small range might be alright in a New York apartment, but it's certainly not going to cut it in a large, open-plan rancher house. We like models that can cover a lot of floor space - 100 square feet at the least. 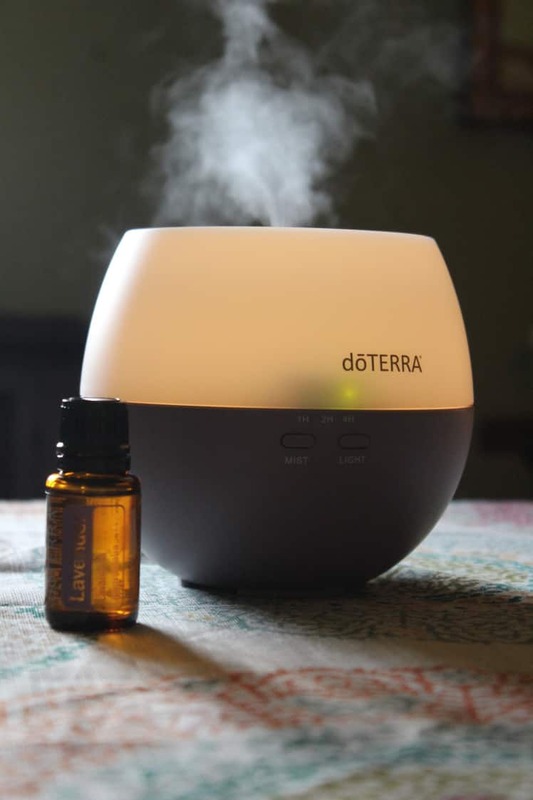 On the flip side, if you take a diffuser that's meant to fill up a massive room and place it in a small space, the aroma could be overpowering. So whenever we see a model with impressive output, we also want to make sure that there is a way to dial it down when necessary. People use aromatherapy to improve their general well-being. If you're looking to get a more restful sleep, then it would seem a little contradictory to use a loud, obnoxious machine wouldn't it? On the flip side, maybe you're looking to improve stimulation and mental alertness. If that's the case, you don't want to have any unnecessary distractions. A small amount of noise is expected, but a good diffuser should operate as quietly as possible. These can be complicated little machines, and nobody wants to spend their hard-earned money on something that is just going to fail after a few months. A long warranty with a flexible policy shows that manufacturers stand by their products. It shows that they believe it to be well made and durable. While we'd all like to avoid it, equipment failure is always a possibility. And a warranty is your guarantee that the manufacturer stands behind their product and is willing to make things right if any unexpected issue happens to occur. Our top pick of diffusers is the Vitruvi Stone Diffuser, and for several reasons. 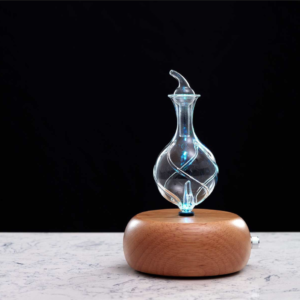 To begin with, it is undoubtedly the most aesthetically pleasing diffuser available. The handcrafted ceramic design is gorgeous, and fits in well with any spa, office or home. And, it actually functions to quiet the bubbling that you do hear in ultrasonic diffusers, making it perfect for use at night or during meditations. 100ml capacity isn't the largest on the list, but it's definitely enough to run for around 7 hours in interval mode, so you don't need to constantly refill. The rubber feet prevent slipping and sliding, and the heaviness of the ceramic prevents the chances it's going to tip over and spill if you happen to bump into it. The soft white light is soothing, and you can always turn it off if you don't want to. The mist diffuses steadily from the top with great coverage - around 600sqft! The mist is extremely fine and produces lovely aromas with any essential oils you choose to diffuse. The Organic Aromas Raindrop nebulizer is the only nebulizing/atomizing choice on our list. 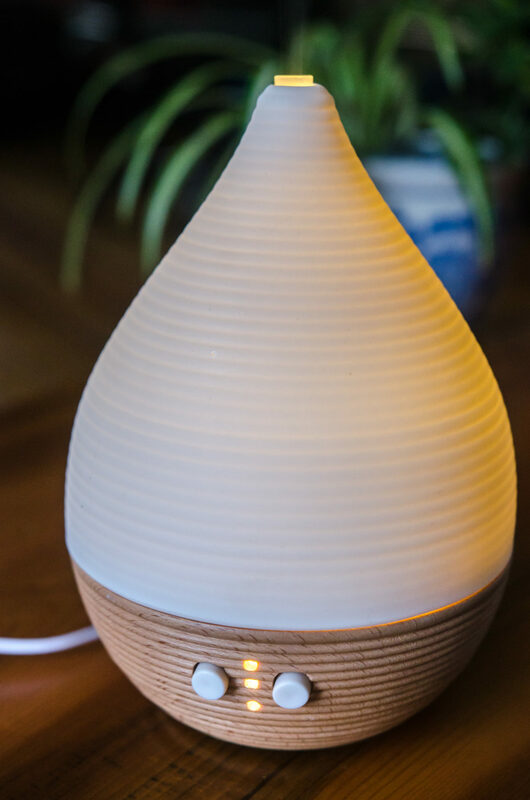 In contrast to the other ultrasonic diffusers, the Raindrop does not use any water to diffuse the essential oils throughout the room, just pure essential oils. A small jet of air is blown across a tube that holds the oils to disperse the oils into the air in tiny droplets. This produces a superior aroma to ultrasonic diffusers, but without the humidifying benefit of the water also being diffused. The raindrop has a beautiful construction with wood and glass materials, but if you have children or pets it may be too fragile to be in your home, depending on where it will be in your space. It also comes with two pipettes that you use to fill the reservoir with pure oils. If you don't like the rotating colors of the LED, you can just switch it off using the touch button at the back of the model. 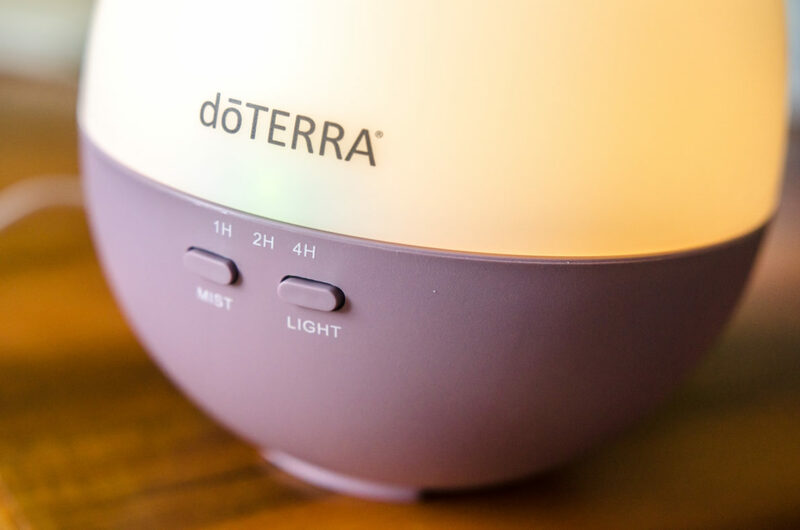 If you want superior aromatherapy coverage, and to get the absolute most of your essential oils, this is the one for you. 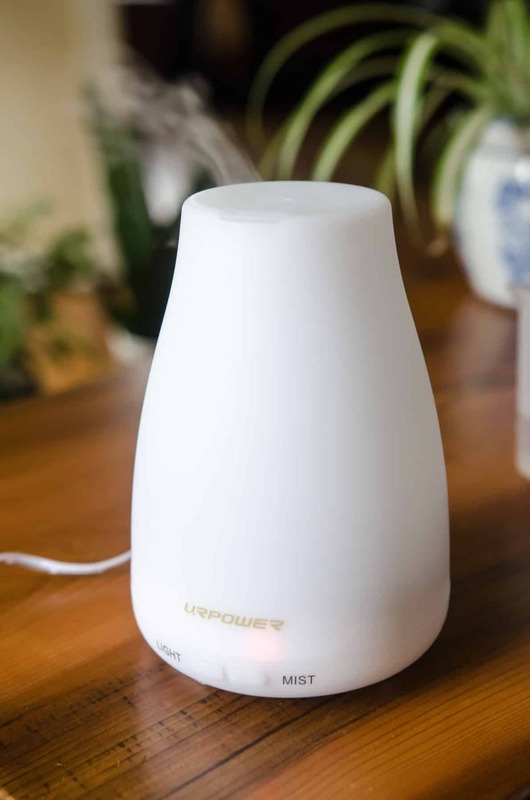 To be completely honest, this UrPower diffuser completely surprised us - in a good way. We actually weren't expecting much from this small, somewhat plain, plastic unit, but it sure packs a punch with its diffusion, and the simple design actually lends itself quite nicely to most settings. As you can see from just the one picture, the mist produces is substantial, producing a beautiful aroma with whatever oils you choose to use. It's quiet while running, and the LEDs produce a nice soft glow. You can choose a rotating option that smoothly transitions through the 7 colours, a static option on any colour you choose, or just have the light off. It's a little smaller, but the squat stature lends nicely to avoid being knocked over. It's also nice that while some diffusers have multiple pieces under the cover to assemble, this is just a two-piece design. It's not quite as beautiful as the Vitruvi or as powerful as the Organic Aromas, but this is a great budget option for smaller spaces. 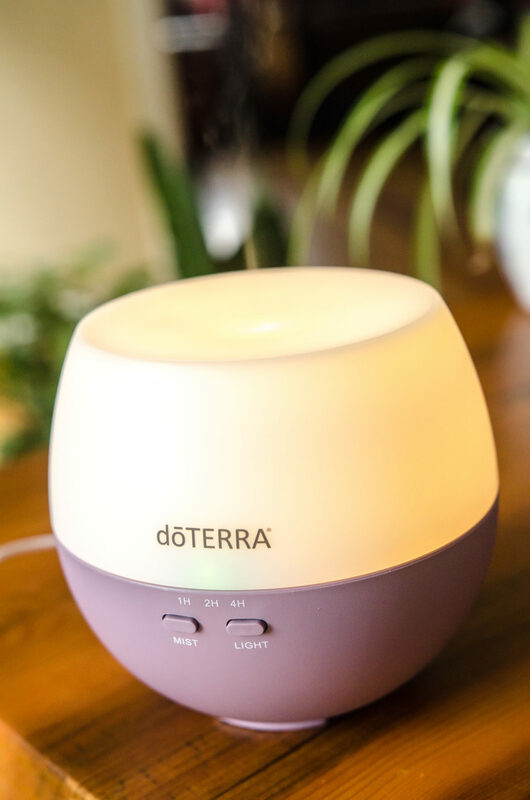 dōTERRA is an extremely popular brand of high quality essential oils, and so it's only fitting they produce a similarly quality diffuser. The Petal is dōTERRA's offering that meets (though not exceeds) all your requirements for an ultrasonic diffuser. The two-part design is great, for us, the least amount of moving pieces the better. Some folks have made the comment that the lid can be a little cumbersome to remove, since the magnets hidden under the cover behind the logo can keep it on snug, and the plastic can be hard to grip. It's really not that bad though, and if that's the major sticking point, I think that's a success on dōTERRA's part. We don't love the all-plastic design, but the soft pink/purple base is actually more pleasant and inconspicuous in person than you expect. The light is soft, and you can always turn it off if you'd prefer. As far as performance, it's got above average diffusion strength, and a well-sized reservoir. It's a great affordable option although aesthetically, it's not our favourite. 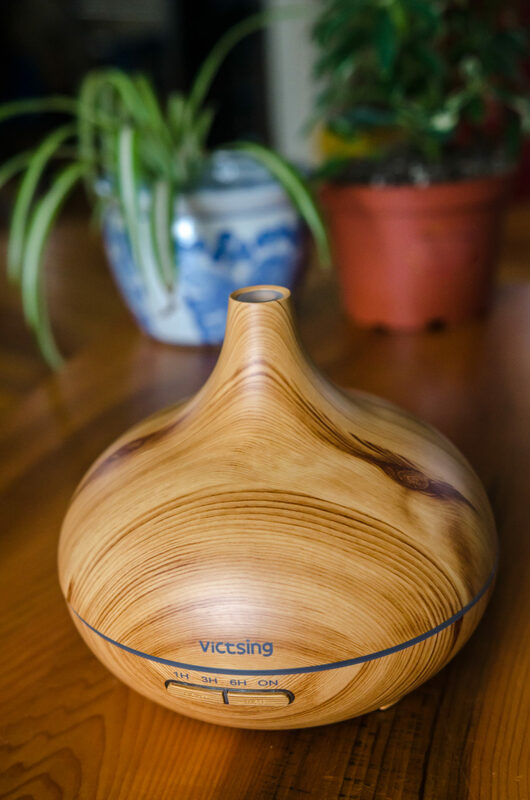 The VicTsing (open to suggestions on how it's actually pronounced) wood diffuser is another option we were slightly surprised with. We typically shy away from any faux wood products since they tend to look cheap or kitschy, but we actually found even up close, the device looks really classy and would fit into most spas, offices or homes. This model has a much larger reservoir at 300ml, which is great, except for the fact that the wide base has a bit of a drawback: very shallow walls. Because the walls of the reservoir are so shallow, it is more prone to spilling out the sides since the lid does not fit on snugly with any type of o-ring or gasket. It's only a problem when you are moving the device when the reservoir is full. Otherwise we love the large reservoir since it can operate for much longer without needing to be refilled. The coverage and aroma is great, and while the LEDs were a little bright for our taste, they can be dimmed or shut off all together. It must be the wide base and larger motor because it's slightly louder than some of the other models on the list. But, it's an eye-catching diffuser with great performance so while it's further down the list, it still deserves a spot in our top picks. From the premium brand, Pilgrim, comes the ultrasonic diffuser, the Teo, an absolutely beautiful device with some awesome diffusion capabilities. The textured wood base and ceramic top are so aesthetically pleasing making this diffuser one that should fit into any and all styles of decor. The device doesn't have the largest diffusion coverage but it does produce a great aroma due to the tiny droplets the device converts. There are a few design notes that prevent us from having the Teo higher up the list though. The rubber top of the internal component pokes out the top of the ceramic cover and the lid itself didn't fit snug onto the base. You can see in the picture where the light is escaping, it was actually manufactured so that the lid/cover is not plumb at the bottom. The button design and quality isn't ideal either, and the buttons can stick a little, which is a little annoying. Otherwise, the soft glow the LED produces is calming and subtle so it's still a great option. And, although they're not rubber, the Teo has little foam feet that help prevent it from sliding around on your surface. The Teo has some great features but also a few drawbacks, hence its position at number 6. 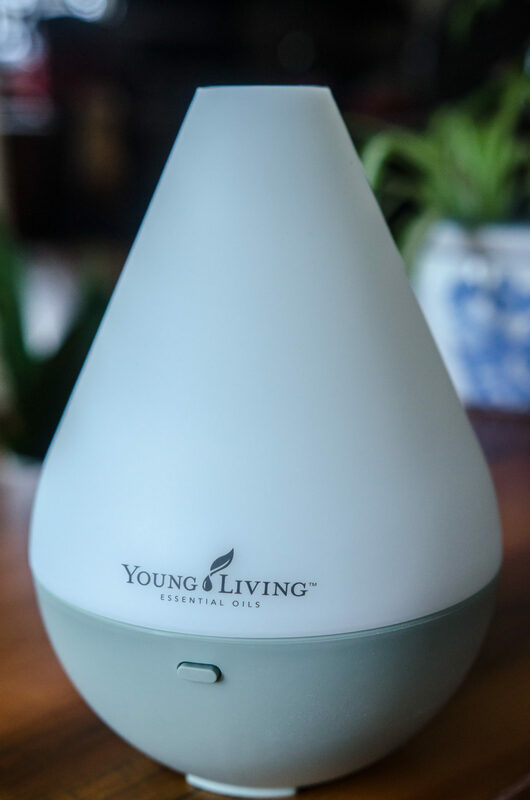 While we were pleasantly surprised by a few devices on our list, unfortunately we felt a little underwhelmed by Young Living's Dewdrop diffuser. Compared with the other models we've reviewed, the Dewdrop is fairly "bare bones" with very few features. As you can see, there is just a single button on the diffuser, that turns the device on or off of it's 4hr run cycle, and also powers the light on or off. The design and materials are eerily similar to the dōTERRA Petal, which makes us think it's made by the same manufacturer, but lacking all the great features the Petal includes. The cool blue LED is a little bright for our taste, and not our favourite hue of blue, so we preferred to run it with the light off. We liked the larger 180ml reservoir, and the diffusion coverage was quite impressive with good aroma. But we can't help but feel like there should be more to this unit. It's still a good affordable option, but we would have liked some more features for the price point. While it may not have some of the more luxurious features as some other models, this is hands-down our top choice. 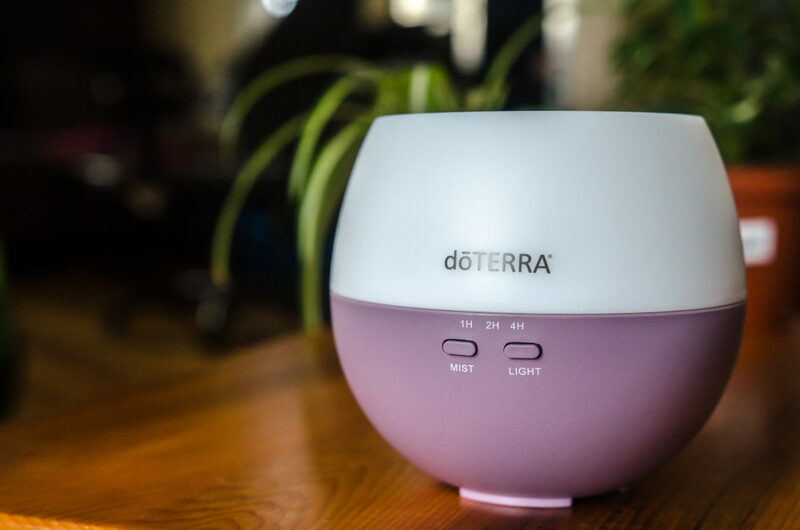 DoTERRA produces a well-made diffuser that performs exactly as you'd expect. It's simple to use, can last for a long time, and doesn't cut any corners. When it comes to your health, there is no one-size-fits-all solution. What works for one person, may not work for another. But the Petal is incredibly versatile, and that's why we like it so much. It produces enough vapor to fill up even a larger room, and it does so quietly - no annoying sounds that will keep you up at night. It can be used with all of the common essential oils, and gives you enough control to set it up exactly the way you like it. Visually speaking, DoTERRA keeps things pretty simple - and that's exactly the way we like it. A diffuser is all about creating a healing environment. Yes, smell factors into this a great deal. But so does the look. If you have something that just doesn't fit with the rest of your room, your enjoyment of it will be diminished. The whole unit has a two piece design. The top is a frosted white plastic, while the base is a single solid color. The most popular model comes with a purple base, although there is a black one available as well. On the front of the base you've got two buttons: mist and light. These buttons work in conjunction with an indicator LED above that show you how long you've set the diffuser to run for. The top is easy to pull off, which reveals the large reservoir. We were a big fan of the simple design of the lid - it doesn't matter what direction you put it on. Just plop it on top, and no need to fiddle with the orientation at all. You also have the ability to turn on the built-in LED light, which helps brighten up your room a little. It's not imposing like some models, and definately has a more subtle vibe. It's a little brighter than a night light, but much lower than a lamp. The light is only available in one color, which may not be ideal for some people. But we've never really found that having a fancy light show drastically improves our experience - and we're quite happy with the light that was included here. Overall, this is a very attractive looking diffuser, but it's not going to grab your eye. It's got an understated design that blends into it's surroundings, making it a great looking choice for any home. But most importantly - this is a very well make product. It feels very lightweight, but remains quite durable. The base is extremely stable, so you have more control over where you place it. We had no issues running it on the back of our couch, whereas many diffusers require a hard, stable surface. As an ultrasonic diffuser, DoTERRA uses quick vibrations to vaporise liquid into a fine mist. Like others of this type, it requires that you fill the reservoir up with water first, then you simply add the amount of oil you want. You can stick with just a drop or two for a more subtle effect, or you can add several drops if you are looking for something a little more pronounced. This is easy to understand, and gives you complete control over the potency of your aroma. Now, one of the biggest drawbacks of an ultrasonic diffusion mechanism is the fact that they create sound. While it's true that the Petal isn't completely inaudible, it's pretty darn close! The noise levels are extremely low, and you'll only really notice them if you are right up next to it. We had no issue sleeping with it on, and the sound isn't very distracting at all. You'll only notice it if you start listening for it. Getting your Petal up and running couldn't be easier. Just pop off the lid and fill it with some clean, cool water. Tap water would work just fine. Next, you add a few drops of your favorite oil and replace the lid. Next, you'll want to turn it on. Simply push the "mist" button to start. You'll notice a little LED pop up under one of three options: 1 hour, 2 hours, or 4 hours. By default, it is set to 1 hour. But you can simply press the button again to increase the runtime. The Petal will automatically shut off when you run out of liquid, so you don't have to worry about damaging it. For such an affordable option, we were really impressed with the Petals performance. It can cover 330 square feet of space, and holds 150 ml of fluid. This is more than enough for a multi-hour run time, and we hardly think that you'd need to fill it up more than once per day, even with persistent use. 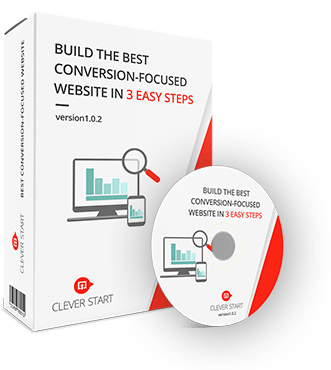 Overall, this is our top recommendation for beginners and experts alike. The Petal performs well, is inexpensive, and is suitable for most applications. If you're unsure what's best for you, then this is a pretty safe bet! For some, "good enough" isn't going to cut it. If you're looking for the best of the best and aren't willing to make any compromises on performance, then this is the model you need. If we were grading strictly on functionality alone, this would definitely be our top rated model. But due to the higher cost and more complex method of use, we'd recommend this option primarily to those of you who are willing to invest in getting better results. If you've ever felt like your oils were a little too weak, then your solution is a nebulizer. Unlike water-based models, the Raindrop takes pure oil and vaporizes it without any additives. This gives you the purest experience possible, and a is a popular option for those who've found that essential oils make a big impact on their health and well being. 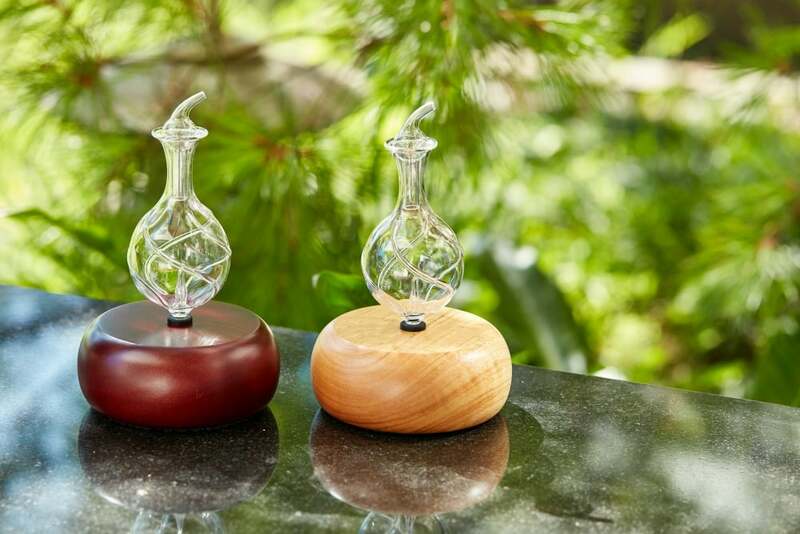 Beauty is certainly subjective, but there is very little debate on this topic: Organic Aromas makes one of the most appealing diffusers on the market. The organic appearance of the wooden base combined with the elegance of a glass chamber is certainly something to be desired, and offers a much more artistic appearance than anything else. When you combine the unique designs etched in the glass with the color changing LED, you get something that is simply striking. You can't help but cast a glance at it once in a while. You do have to make an effort to keep it clean, although this is just a simple matter of running a little water or alcohol through it every couple dozen cycles. From a technical standpoint, this is quite a bit different than most diffusers on the market. While most vaporise a water and oil mixture, this one uses tiny channels of pressurized air to make them airborne. This is how it works: air enters a tube which is tapered towards the end. As the diameter shrinks, the velocity of the air is increased. This high pressure jet of air makes contact with the oil, atomizing it. In essence, it's using a form of suction to force tiny amounts of the oil into the air at once. Looking at it, you probably won't be able to tell that your oil is slowly being used. But if you sit next to it, you'll definitely notice the smell! There are a few key advantages to this system. First, you're not going to increase the humidity of your room. Secondly, you get a much more pure aroma - ideal for anyone who wants to get the most out of their oils. In some ways, using this diffuser can be quite simple. But you don't get a set of controls to adjust the output - everything has to be done manually. Getting started is easy: just add a few drops of your favorite oil, and turn the diffuser on. But that raises a question: what if the aroma is too strong? What many people do is thin their stronger oils. You can use an inexpensive carrier (such as almond) to mix with the stronger oil. A 50/50 mix will be half as strong, and you can adjust from there. The process is a little more involved, but this is designed for people who want control. The Aroma produced by the Radiance diffuser is certainly potent, and it fills a room quick! With a coverage of up to 800 square feet, even if it's placed in your living room you'll likely still be able to enjoy the effects from a nearby room. It's totally silent, so you don't hear a thing. Overall, this is the best possible experience for those who are willing to put in a little extra effort. If you're spending your hard-earned money on the highest quality oils, nothing is going to give you better bang for your buck than the Organic Aromas Radiance. This unit uses the most advanced technology and doesn't make any compromises. If this sounds like something suitable for your needs, be sure to shop around to find the best price online. If you've made it this far, you probably aren't quite sure which option best suits your needs. As with any decision you make regarding your personal health, it's always important to understand both your own needs, as well as the advantages and disadvantages of all the choices out there. We've answered a lot of questions at AromEssential, and we've written up several articles to help you learn more. If you're new to the world of essential oils, diffusers and aromatherapy, this is a great question! Diffusion is literally defined as "spreading something more widely." In the case of essential oil diffusers, they spread essential oils around a space such as your bedroom, living room or office! Diffusers come in all shapes, sizes and types but they all have that common feature of spreading aroma and water vapour throughout a room. In this guide, we're going to be taking a look at our favorite diffusers so that you can understand the differences between them. But if you're looking for a more general understanding of what they do, you can find a more detailed explanation here. Why Should I Diffuse My Essential Oils? Because they are made from all-natural ingredients, there are many ways to use oils safely. Some can be used topically - applied directly to the skin to treat a rash or muscle pain. Others can be used internally, with a rich culinary history of people adding them to their food like any other ingredient. But aromatic usage is, by far, the most common. At some point, you've probably experienced how smells can bring back memories. Whether you're walking past a favorite restaurant or going through and old box of childhood belongings, just the tiniest whiff can bring back vivid recreations of memories that we once thought were lost. In terms of evolution, smell is one of our oldest senses. It's heavily wired into our brains, and can be used to elicit profound emotional and physical responses. Some people spray natural oil tinctures on their clothing or furniture, while others dab it on themselves. But when used as a liquid, the effects of these products are always restricted to a specific area. Diffusing allows you to break them down and release them into the air. You can think of it like incense, without any of the fumes or toxins released by combustion. Most people choose to diffuse essential oils for health reasons. Depending on how you use it, you can see significant improvements to both your mental and physical health. Aromatherapy has been used for years to improve sleep quality, reduce mental fatigue and stress, and improve memory and cognative function. Properly made, all-nautural oils have also shown to improve breathing, which in turn reduces blood pressure and increases oxygen levels in the blood. Of course, this isn't a miracle cure. You need to be mindful of your goals, and use these tools properly to help you meet them. Check out our in-depth guide to learn more about the benefits of diffusion. All diffuses work by releasing essential oils into the air. But how they accomplish that task depends on what type you have. 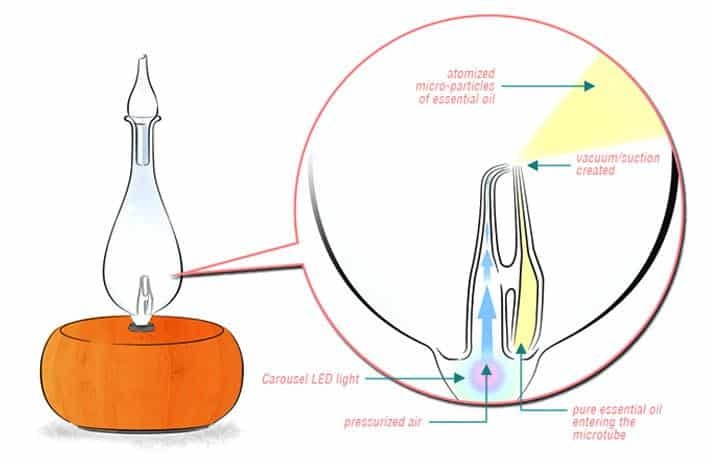 Nebulizing diffusers, for example, use a small coil inside of an atomizer to break the oil into teeny tiny airborne particles. Other types use heat to evaporate the oil, or small vibrations to create a mist. For more information, read our complete explanation on how different types of diffusers work. Operation can vary from model to model. But the basic principle stays the same. You start by selecting the type of oil you want to use. Then, you will generally fill the diffuser with clean, room temperature water. From there, just add a few drops of your favorite oil to the water, and you're ready to go! that being said, every model is a little different. And you may want to treat the diffuser a little differently depending on your specific objectives. For more information, check out our guide: How to use your diffuser - step by step. What Kinds of Diffusers Are There? It's generally accepted that there are four main types of diffusers: nebulizing, ultrasonic, evaporative and heat diffusers. Each comes with their own set of benefits and drawbacks, which we outline in this full guide here. We've also included a short summary of each type below for your convenience! 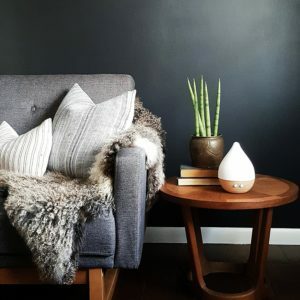 Nebulizing diffusers are often considered the superior and preferred style for one main reason: they don't require the essential oils to be diluted before using. A jet of air is blown over the oils in your diffuser emitting them in a fine mist directly into the air providing superior spread of aroma and effectiveness. Ultrasonic diffusers work a little differently, though still result in the essential oil of your choice being misted into the environment. Ultrasonic diffusers typically use a small disk that rotates and vibrates rapidly (ultrasonically) inside of water with your essential oils infused within it. The vibrations produce tiny droplets that disperse into vapor that spreads through the air. The soft and quiet bubbling noise produced is also appealing to some. If you think ultrasonic diffusers may be the best choice for you, we've put together a list of the best ones here. Evaporative diffusers are much less common than the others and in our opinion, much less effective. Evaporative diffusers use a small fan that blows onto a filter or similar material that has been soaked or infused with essential oil and disperses the oil and aroma around the room as the liquid evaporates from the fanned air. However, the oils may fractionate and release the components at different times, possibly disrupting the therapeutic effects and the aroma release. A heat diffuser is quite similar to an evaporative diffuser. However, instead of a fan blowing air to disperse the oils, they use heat to evaporate and disperse the oils into the air. They are quieter than the other types, however they also run the risk of fractionating the oils and providing inconsistent diffusion. Infused candles are also a basic example of heat diffusion. Couldn't I just use a humidifier? Although the effects may seem similar, diffusers and humidifiers serve very different purposes. For most applications, they are not interchangeable. A humidifier is basically just diffusing large amounts of water, which is ideal in very dry climates. Many diffusers only work with concentrated oil, and don't increase the humidity at all! Others (such as nebulizers, for example) are somewhere in the middle. They do release water vapor, but they produce a less concentrated aroma. If you're not sure what you need, read our article for more information on the differences between them. The oils you end up choosing for your diffusion will vary. What works for one person isn't necessarily going to work for another. What are your goals? Why did you decide to get into oils? Are you using it therapeutically, or simply aesthetically? If you are looking to relieve symptoms like congestion and other respiratory issues, Eucalyptus oil is a great choice. Cedar wood by contrast has anti-fungal and insecticidal properties to cleanse the air in your space. Lavender is soothing and calming and used as a sleep aid. If you are just looking for a way to bring a pleasant and humidifying aroma into your home, then a blend of oils such as Rosemary, Pine and Frankincense is a great combination. Choose your oils around what you want them to do, and also of course, your personal taste in aroma.